Go to your Downloads folder, and extract the dialogadvtab_version.zip file. Move the extracted dialogadvtab_<version> folder to /web/server/root/ckeditor/plugins/. 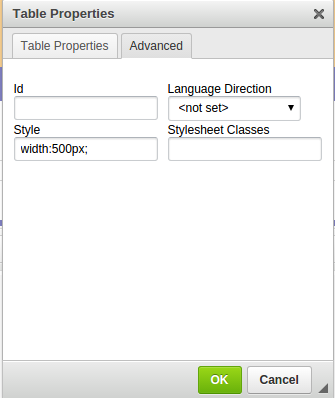 Now, when adding a table in CKEditor, the table properties pop-up box will have an Advanced Tab.